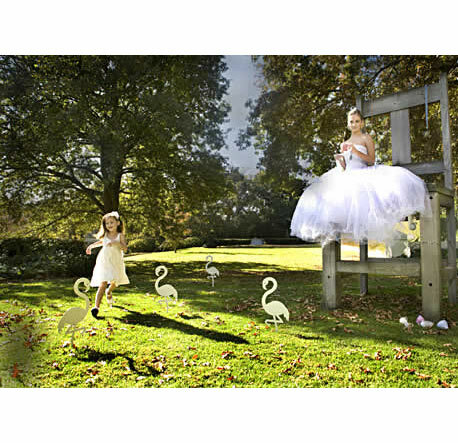 - Use these metal lawn ornaments to demarcate the pathway for guests at a garden party wedding reception. - Stand the flamingo next to a garden pond. - Place it in a large pot on the patio to create an interesting focal point. 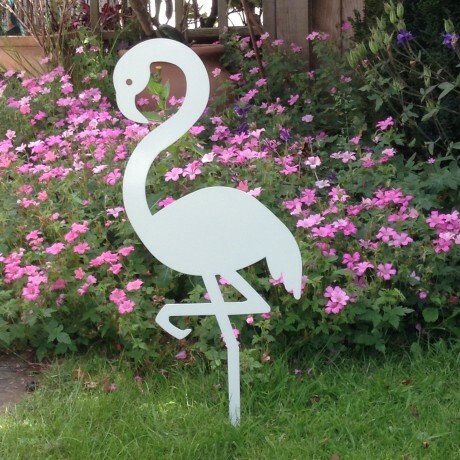 The flamingo is laser cut from mild steel followed by powder coated in white, for a durable finish. The metal flamingo is an unusual yet affordable gift for the garden lover. The flamingo measures 64.5cm high including the stake, and 22cm wide. Weight is 530 grams.